Just over a year after the province implemented new regulations around the practice more commonly known as carding, an Ontario judge is undertaking a review of how far the new rules are being followed. It's been more than a year since Ontario released new rules restricting the practice of arbitrary police street checks, but has anything changed? That's the question being asked at public consultations across the province, as part of a review by Justice Michael Tulloch to see if the new rules are being followed and if they are working. The last of three meetings scheduled for Toronto was held Tuesday evening. The new policy, released in January 2017, stipulates among other things that officers must inform people that they have a right not to talk to police or produce identification in cases other than arrest, detainment or when a search warrant is executed. The rules don't apply to undercover operations. While criticized by some for not banning carding altogether, the new policy aimed in part to end arbitrary stops, particularly those based on race. "We are certainly hearing that there's a lot of pain there," Christine Mainville, a lawyer assisting with the review, told CBC Toronto. "We have certainly been hearing that in many parts of our community and our society there's a trust deficit, there's a lack of trust." Part of the goal of the regulations is to try to improve the relationship between the police and the public, she said. And if it's determined that there are further changes that need to be made, those will be part of the recommendations that Tulloch provides next January. At the table where Noel Walrond was sitting, the general consensus was that the practice should be eliminated altogether. "It sort of brings us back to South Africa and apartheid, checkpoints and that kind of nonsense," he told CBC Toronto. "If somebody has committed a crime, you engage them and you deal with the situation as it is." 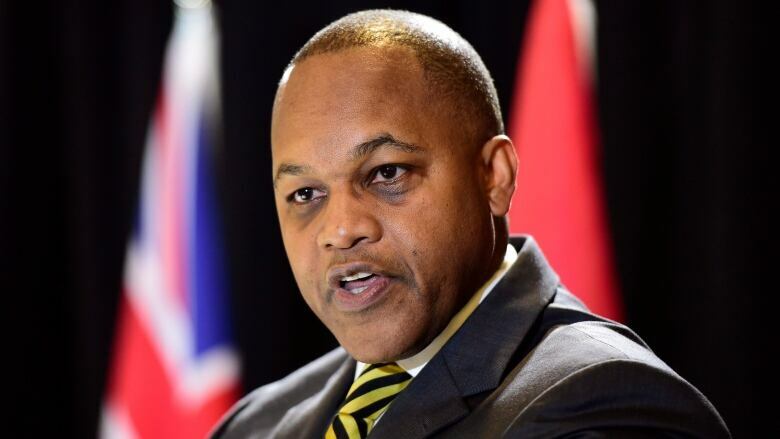 One of the regulations Walrond says was news to him Tuesday night, was the notion that police need to provide a receipt detailing the interaction they had with a person when they were stopped. "If we haven't heard of it, obviously we haven't received them and clearly some people aren't doing their job," he said. Also in attendance was Toronto police officer Kaeda Edwards Pierre, with 54 Division. 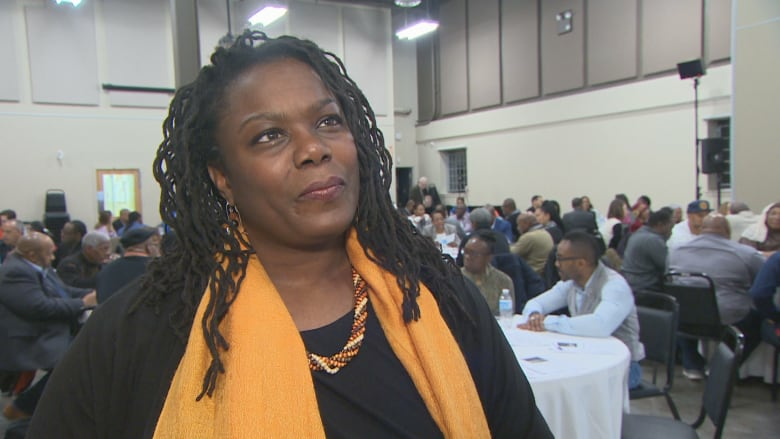 She says when it comes to racism in the practice of carding, "the question isn't, 'Does it exist?' The question is, how do we address it?" Carding as a tool, she says, isn't the problem on its own. "Regardless of what tool, if we have the wrong mindset, that tool is going to be used for wrong ... We can look at police, but the reality is that every institution has its own issues and 'isms.'" Brian Baris attended the consultation with his children in mind, he said. "One of the things black parents face is even though you might bring up your kids with the calibre and quality and respect that you have sown into that generation, the fear is still they might meet someone out there ... While we know that there are a number of good police officers out there doing their work, the initial fear that parents have is that they could probably run into someone who could be overaggressive." But while Baris is most concerned about healing the relationships between the community and police, another attendee, Karar Jafar, was concerned by what he saw as a lack of young people at the consultation. "I think that's what's missing," said Jafar, who said he was carded as a youth prior to the new rules and never told his rights. As for whether anything has changed since the new regulations were implemented, he says it's simply too soon to tell. "So far, we can't have sound judgment of whether this is successful or not." 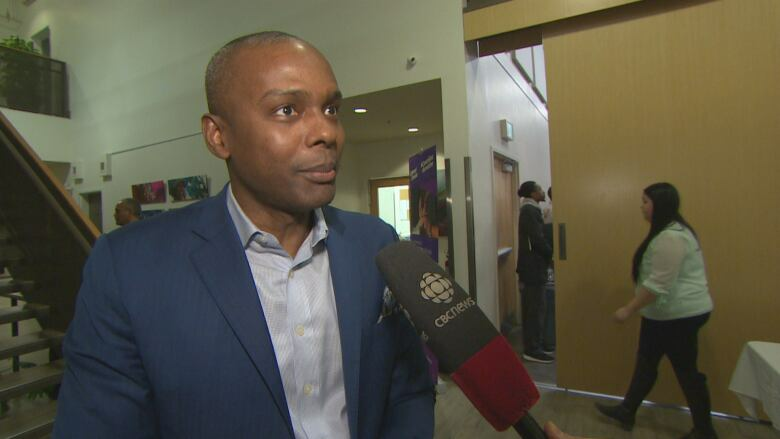 But for Walrond, who says he has many friends with the police force, the very practice of carding prevents any wounds between the community and police from healing. "When you're asking someone for that ID, often the idea that's implied is, 'Well, you may have been involved.'" And as long as the practice exists, he says police need to be held accountable when they violate the regulations around it. "In the same way that criminals should be held to task for what they do, if a criminal act is committed by law enforcement in particular, an even greater example should be set because they're the ones who are the standard-bearers of our laws." His hope: "With some of the ideas that area shared here, that the next generation, our children, and our children's children won't even have to have these kinds of meetings because we're all treated fairly." The forums continue in the GTA and around the province until the end of April.